Mangaluru, Oct 23, 2018: Our group of friends going by the name Nalli Gang is a motley crowd of men around the same age group knowing each other since their childhood days and continuing the friendship. 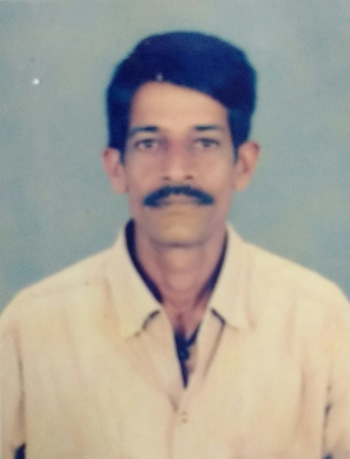 We have lost one of our Gang members, Markad Ganesh Kamath known as Ganna. He passed away on 22nd October at his residence. There are those staying in single rooms as well as palatial mansions. There are the Mercedes benz, BMW owners as well as bicycle riders. But one thing in common for all of us is when you meet at the designated place at present a wall near the Mangala stadium all are equal. Whether you are the Dean of a college or a class IV employee in a bank makes no difference! Such has been the long lasting camaraderie. Like the proverbial -tinker, tailor. Soldier, rich man, poor man we have a good representation all such with the common bond- the Nalli or the empty water supply pipes which used to be stored on the maidan- sitting on which the group was founded. As all of us fondly recall the comfort of the strategically placed cast iron pipes of various sizes would put the top class bio engineered seating arrangements to shame! While time and other factors (the chief being liver problems caused by excessive spiritualism) have taken a huge toll on our numbers the recent loss of Markad Ganesh Kamath known as Ganna was a sudden blow. He passed away from a heart attack on 22nd October at his residence. In the initial days he and his family were sworn enemies of the group but as time passed things were patched up and we became friends. He comes from a cricketing family and was a cricketer himself playing for the Pentland Pet Sports Association more popularly known by its acronym PPSA. As his team mate and fellow member of our group Devanand Pai recalls Ganna played for the club from 1973 to 1980 and was a good all rounder . He was better known for his excellent fielding and deft running between the wickets! His elder brother Surendra Kamath was a Ranji trophy player, while two others Ravindra and Ramachandra were playing for their banks. Ganna started his career running his family business of salt sales at Bunder. Later on he started driving an autorickshaw- parking it at Mangalore junction. As all know the auto drivers there wait for a killing! But if seen by him any one of our group getting off there would be in trouble if there was none to pick them up. He would sweep on them like a hawk confiscating their baggage depositing it in his vehicle and immediately set off to drop them home- there was no need for them to even to tell him the address! All of us dreaded that because not only he would see us safely home but also refuse the fare saying that it was a privilege to meet an old friend. Of course those waiting for trains too had no problems- if Ganna was there- he would invite them to sit in his auto regaling them with tales of the good old days and playing cards too. He would totally forget his primary objective of being parked in the place! Such were those days. Sad to know about Ganna’s passing away. He had a style of his own, and he lived with pride and self reliance. My association with him for over the last 4 decades has been consistent. I still recall late one evening when I was trying to catch an autorickshaw at Bejai to reach my home, none of the autorickshaw drivers were ready to come, then Ganna had arranged for a passing by autorickshaw on sharing basis, as he could not break the queue. That auto driver refused to take money from me saying Ganna’s friend was his friend! Ganna shall be remembered forever by his mates over the globe.